Jeffrey Sumner is the Engineering & Physics Department ’s machinist & laboratory technician. He received his A.S. in Aerospace Maintenance Technology from the Community College of the Airforce in 2007, and completed machinist training through Metal Working Connection and Alumax tap and die shop. 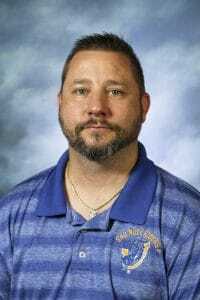 He served in the United States Air Force from 1995-2009, where he worked as an Aerospace Maintenance Craftsman, Network Administrator, Unit Deployment Manager, and Squadron Safety NCO. From 2012-2014 he worked as a Field Base Operator at the Magnolia Municipal Airport. Technical Sergeant Sumner holds a CompTIA A+ Certification, and the OSHSA 1910 Standards Training for General Industry. He has been employed as a machinist and laboratory technician for the SAU Engineering Program since 2018, he also serves as a safety supervisor for the engineering building and machine shop.